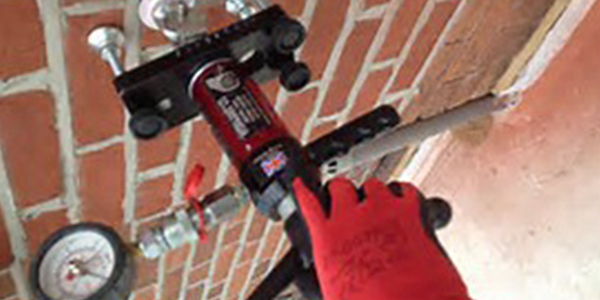 they perform correctly to prevent component failure and water ingress issues. onshore and offshore in the UK and Europe. 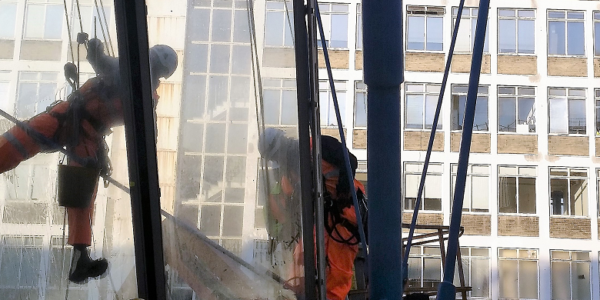 We have successfully Built, Maintained and Repaired commercial glazed structures at height throughout the UK for the last twenty eight years. 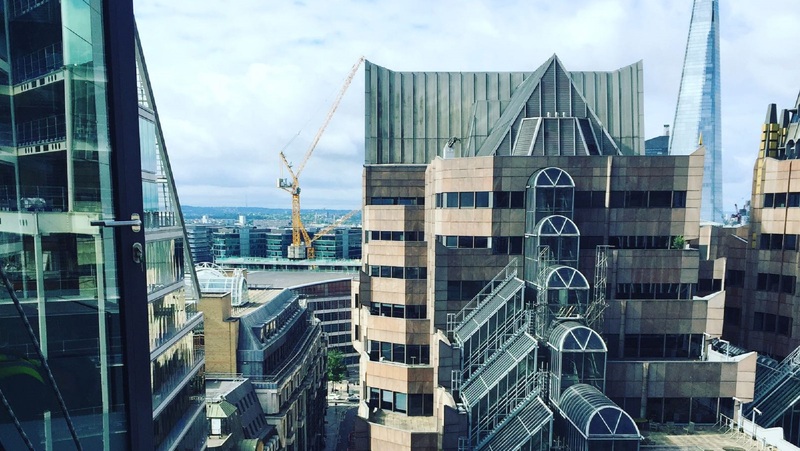 Our services can be extended to cover the external building envelope in its entirety to include: any overhead glass roofs, rooflights, curtain walling/atria, glass canopies, glazed entrance packages, windows, doors and balustrading. 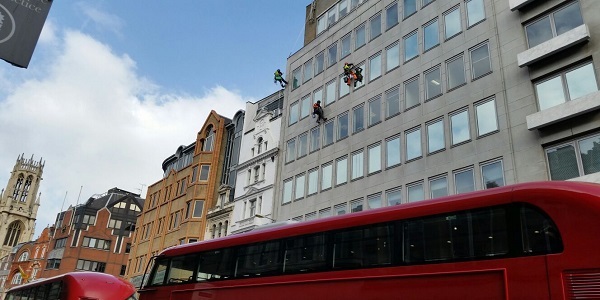 GG Abseil Services are part of Bloor International Enterprises. 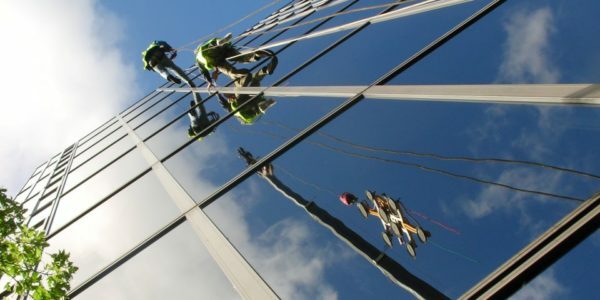 Bloorie is a leading group of companies dedicated to delivering trusted commercial and domestic glazing solutions to the UK construction industry. 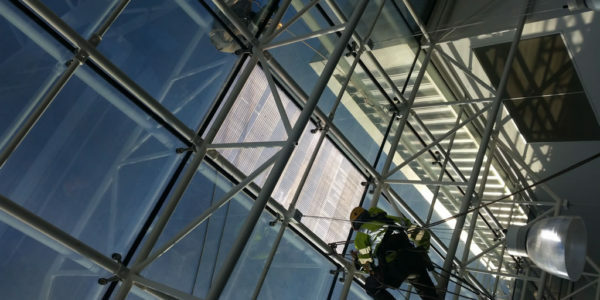 Utilising over 25 years’ industry experience, we are able to offer individual, specialist glass replacements and multiple replacements in difficult to access areas at height. 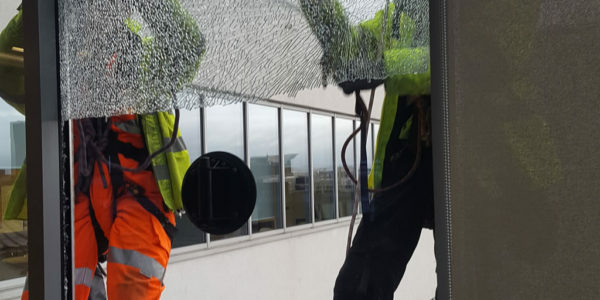 When an overhead glass breakage occurs, safety always has to be a priority, particularly with high level and overhead glazed applications. 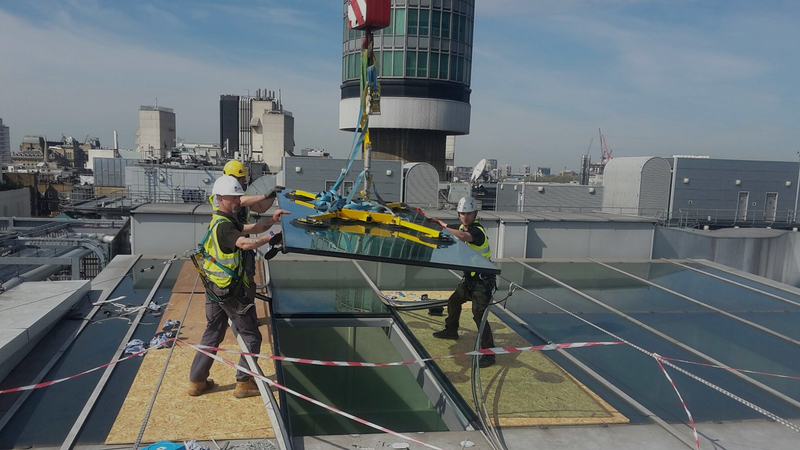 Glazing systems require regular maintenance to ensure they perform correctly to prevent component failure and water ingress issues. 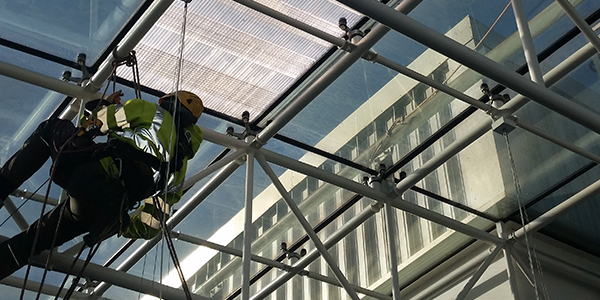 Atrium glass roofs require bespoke maintenance programmes as well as unique repair and replacement procedures from experienced teams. 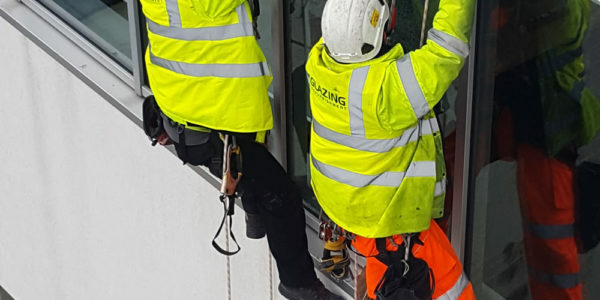 Glazing Rope Access are able to offer bespoke overhaul programmes to remove and replace all existing weather seals, extending the lifespan of the glazing system. A small investment in repairing and replacing weather flashing will save you a lot of money and headaches in the future. 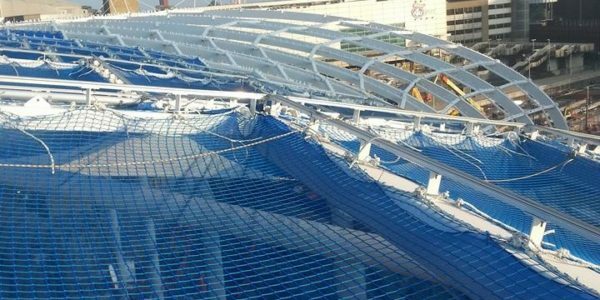 Glazing Rope Access have a dedicated structural rope based engineering department who are frequently called upon to carry out high level specialist inspections. 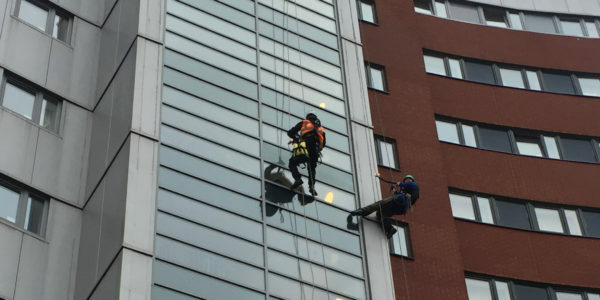 GG Abseil Services are able to provide cost effective window cleaning and overall building clean solutions using our teams of IRATA trained abseilers. 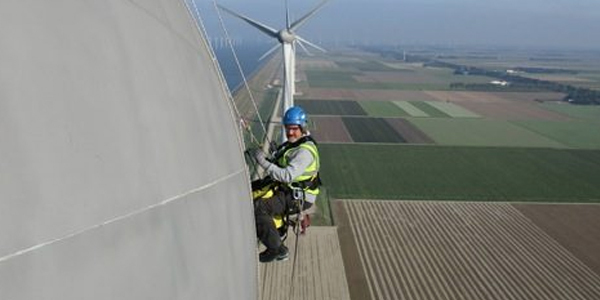 GG Abseil Services can supply fully qualified and experienced rope access technicians to inspect, maintain and repair wind turbines on and offshore, Nationwide. 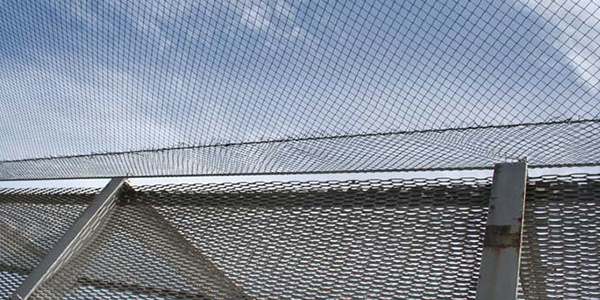 GG Abseil Services are able to provide a complete pest control solution to eradicate your bird infestation problems. Bird droppings and feathers can block guttering, cause drainage issues. 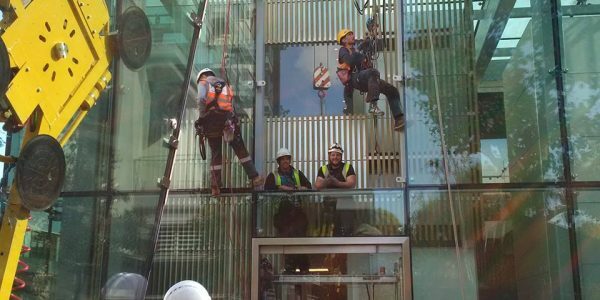 GRA are able to provide IRATA trained rope access technicians to access many building types to conduct the installation and repair of cladding systems. 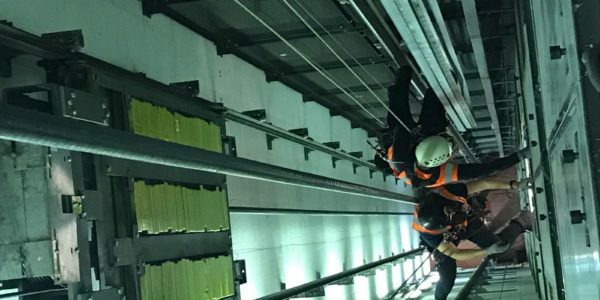 Confined spaces can be a dangerous place to work, though the use of rope access techniques with fully qualified technicians can minimise risks to the client and abseil operatives. 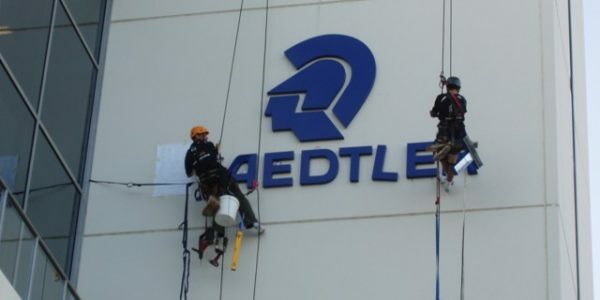 Using rope access to install and remove signage is fast becoming the go to option as it is less intrusive, more cost effective and more efficient. 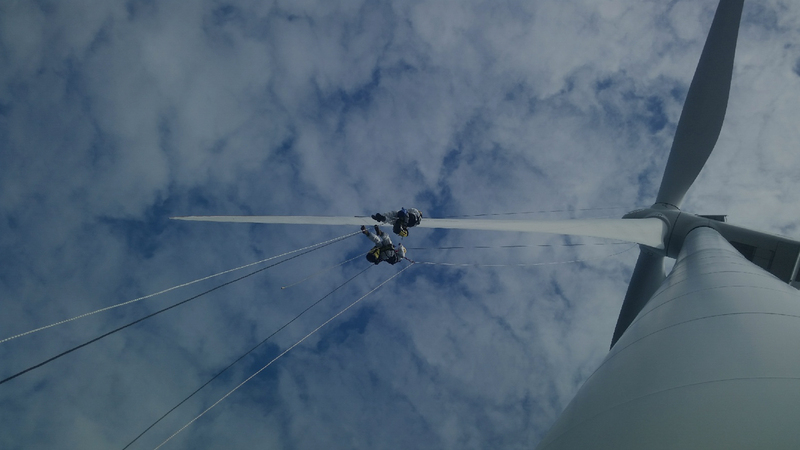 Working at height, in a confined space or a combination of both requires in-depth risk assessment and a suitable rescue plan. 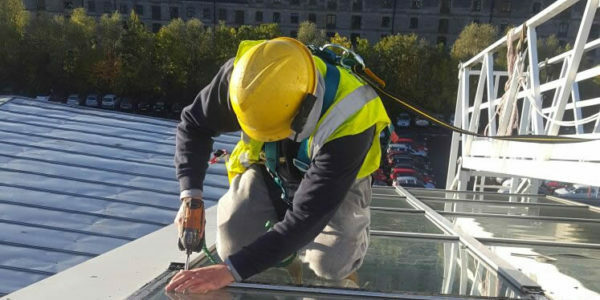 Eyebolts are one of the most popular methods of fall protection and GG Abseil Services have an excellent understanding of the position of the eyebolt to ensure the safest and most practical placements. 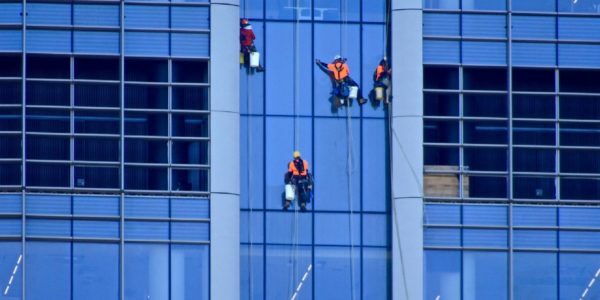 At any time glazing and cladding can fail for a variety of reason. Glazing failure needs to be investigated immediately.